Nothing beats a festival that celebrates cheese, according to John Hillman , and the Livarot Cheese Festival is one of the very best. The summer festivities continue unabated across Europe and what can be better, or more quintessentially French, than a trip to the Livarot Cheese Fair in the heart of Normandy’s Camembert country. The picturesque village of Livarot lies approximately 30Km from the historic city of Caen, on the D579, and has found a modicum of fame for its own distinctive cheese named after the village itself. Livarot is a soft, fantastically smelly cheese made from cow’s milk that boasts its own Appellation d’Origine Controlée. Livarot’s annual cheese fair takes place on 1 -2 August and for any of you driving through Normandy next week it is well worth popping in for a visit. The highlight of the festival, although not one I would recommend taking part in, is a competition to discover who can eat the most cheese in one sitting. Well worth it just for the spectacle of watching an entire village cheer on four fat blokes trying to achieve death by Camembert. The village and surrounding countryside are truly beautiful, all ancient wooded-beamed farmhouses, medieval churches and hayfields stacked high in the summer haze. 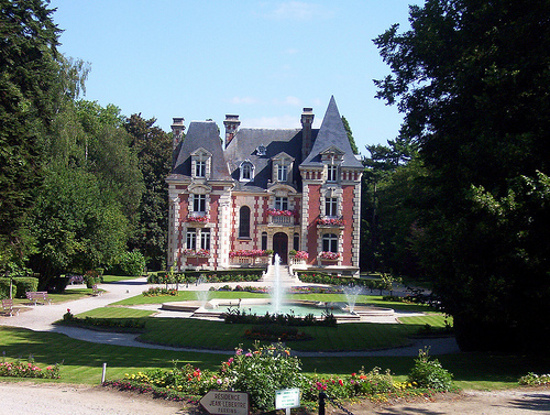 There really is no better way to see France and all it has to offer than by getting in your car and heading off to explore the deepest most secret places where you’ll find few tourists and even fewer cares. D-Day, Saving Private Ryan and War Memorials, John Hillman thinks that Le Havre should be remembered for much more than that. Le Havre nestles on a bank at the mouth of the Seine River as it flows out into the English Channel, the scene of much bloody fighting during the D-Day landings of 1945, and now a living testament to the fact as a concrete UNESCO World Heritage Site. But long before Normandy became synonymous with invading armies this town was the scene of one of the most critical moments in the history of art, when an unknown painter created a work that’s name would be given to an entire movement, a movement that would change western civilization’s very idea of art and spawn some the most famous works of the 20th Century. Claude Monet moved to Le Havre when he was five years old and it was from here that he developed his love of painting. Despite his father wanting him to become a grocer he managed to talk his way out of it and attended Le Havre Secondary School of the Arts. 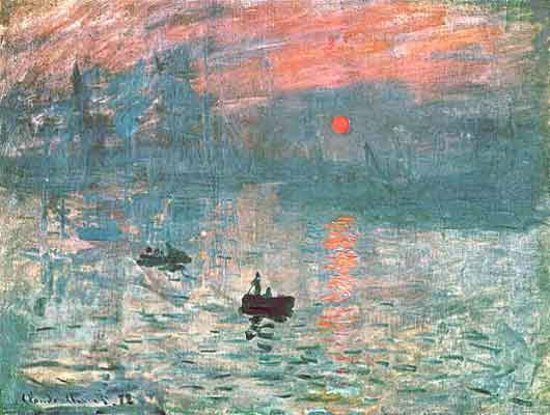 This painting, Impression, Soleil Levant (Impression Sunrise), 1872, of the harbour of Le Havre, was made from Monet’s bedroom window using quick broad brush-strokes to produce the hazy forms and atmosphere of light and shade that, when exhibited in a studio on the Boulevard des Capucines, in April 1874, lead the art critic Loius Leroy to coin the term Impressionism. The Impressionist’s slapped the art world out of its stagnant demise and fired the creative passions of the young men who followed in their wake. The 29 other artists who exhibited with Monet included Degas, Renoir, Cézanne, Morisot, Pissarro and Sisley, artists who would inspire Picasso and all those who followed him. This little scene of Le Havre harbour changed the art world for good. From now on art stood for rebellion against the concise outline and linear perspective of classic academic painting, and instead focussed on light and atmosphere and a need to capture the immediate visual effect, whilst rejecting historical and classical themes in favour of the contemporary. Despite being viciously ridiculed by the critics and generally ignored by the public, this painting is a milestone on the journey towards what we now call Modern Art and part of Western Civilisation’s story as much as the discovery of America or the D-Day landings. You can see Monet’s Impressio, Soleil Levant at the Musée Marmottan Monet in Paris or visit the Malraux Museum in Le Havre where you will find the largest collection of Impressionist paintings outside of Paris. DJs, sound systems, crowds of people, and no… beer? Pavla Tolonen explains all about Rotterdam’s ‘Fit for Free’ dance parade. 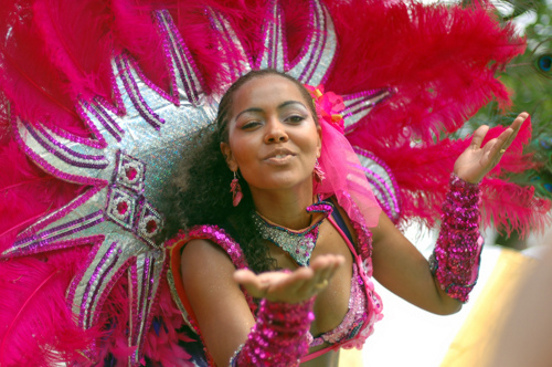 An eleven hour party is not everybody’s cup of tea, which is why Rotterdam’s Fit For Free Dance Parade is a hop-on, hop-off event for people of all ages. Ending in a massive closing ceremony the parade starts at 12:00 on 8 August with a warm-up and continues through the city boasting 40 sound systems and 200 DJ’s. The alcohol and drug-free event kicks off at Boomjes open and circles the city around Verlengde Willemsbrug, Westblaak, Rochussestraat and ends at the corner of Westzeedijk and Pieter de Hoochweg. Main metro stations to catch the parade from are Rotterdam Blaak, Beurs, Eendrachtsplein, Dijkzigt and Coolhaven. Known for its great shipping capacity as Europe’s biggest port, Rotterdam is keenly on display throughout the parade, starting with the relatively new artificial beach at Boompjeskade, Witte House (an art noveau skyscraper) and Kubuswoning (Cubic Houses). The parade also passes the Erasmus University, named after the legendary philosopher Desiderius Erasmus, and Rotterdam’s most famous bridges Erasmusbrug and the Willemsbrug. The closing party starts at 16:00 and ends at 23:00 hosting acts like Ferry Corsten (trance), Sunner James & Ryan Marciano, MC GEE (house&garage) and Secret Cinema (techno). Mega house music DJ Erick E, who won the Best House DJ 2005/2006 award, will also be performing. After-party tickets are 20€ and VIP tickets are 75€ guaranteeing entry and oodles of fun. If this parade wets your appetite for open air festivals, you may also enjoy Zomerterras, a four weekend free concert which has been running for the past ten years. From pop, jazz, classical and world music to art and local theatre projects, the concert is an all family event from 31 July to 22 August. For further cultural enjoyment you could also hop on an hour long train into Amsterdam to see Cirque Stiletto at the Theater Carré, the medieval festival “Fantastic Amsterdam” or perhaps catch one of the shows at Amsterdam’s open-air festival. The Romans conquered Britain using men from as far afield as Hungary and North Africa and even finished the job off with a herd of warrior elephants, so why isn’t their leader better known to us Brits? John Hillman thinks it’s about time he was. How many of you have actually heard of Aulus Plautius? I say this because it comes as quite a surprise to learn that this man was the General in command of four legions, amounting to an estimated 50,000 men, who invaded Britain, and won, back in A.D. 43. I’m sure that students of Roman history are thinking “big deal” but, considering the fact that this was a hugely important event in our national evolution, old Aulus is hardly a household name is he? What’s truly amazing from my perspective is how he managed to get 50,000 men and supplies across a stretch of water that held up King Philip of Spain’s Armada, Napoleon’s naked ambition and even Adolf Hitler, 1500 years before any of them even tried. If the stories are to be believed, he was soon followed by Emperor Claudius who brought Elephants to aid the conquest. The spectacular idea of Roman Legionaries and Elephants chasing naked blue-skinned Britons across the fields of Kent and Essex is a mental image denied to me for years by the curriculum organisers of my old school. Bastards. Plautius’s conquest of Britain was followed by 400 years of roman rule, during which time the south of England became an urbanised centre. 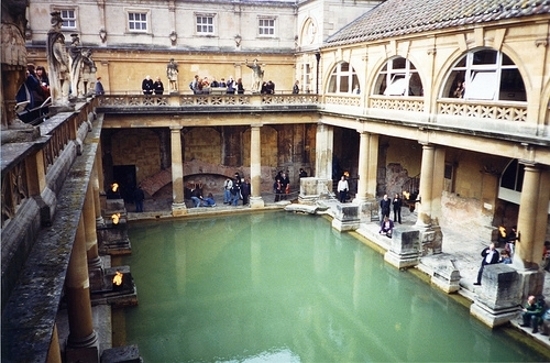 Excavations of Roman villas offer testament to the wealth and power that Southern Britain attained under occupation, a factor that has changed very little to this day. Aulus Plautius may sound like the missing link between fish and mammal but he deserves better, it really is a name that should be recognised by people across the UK, belonging to a man who should be celebrated, along with William the Conqueror, as one of the most influential foreigners to cross the English Channel in our entire history. Bayeux celebrates its tenth Calvadose de Rock festival in Port-au-Bessin in August with plans for plenty of noise, props and “pompe”. 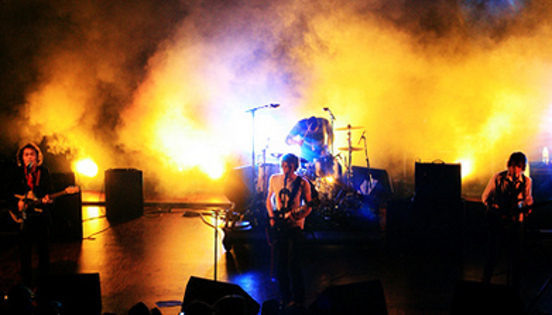 How will Londoners The Rakes fare in the all-French rock festival? Pavla Tolonen investigates. With a line-up boasting electro-pop, indie-rock and even “rock’n’drôle” the festival is hosting two days (7-8 August) of non-camping, animal-banned fun priced between 10€ and 15€ for one or two-day tickets. The festival flaunts its yearly endeavour of creating witty backstage banter as diverse bands such as Les Wampas, La Chanson de Dimanche, Les Fatals Picards, The Dodoz and My Girl in Trouble all attempt to own the event. London-based band The Rakes and the French, but somewhat British sounding, Stuck in the Sound are also head for the stage. Headlining the first night, La Chanson de Dimanche will kick off with a certifiably eco-friendly approach, leading the way for edgier rock bands later in the evening. Les Wampas, a French punk rock band who once titled an album Never trust a guy who after having been a punk, is now playing electro, will end the first night, only to be followed the next day by My Girl in Trouble, a three chick strong electro-pop band. In 2007, Les Wampas cheekily sang Faut voter pour nous in its bid to represent France in the Eurovision Song Contest. Sadly they were beaten by Les Fatals Picards with L’amour à la française – a band which, coincidentally, also beat them to second headliner position at this festival. All this in a friendly manner of course, since the winners proudly deem Les Wampas as their “amis du showbiz”. Gay Pride 2009 celebrates forty years since the beginning of the modern gay rights movement this year, John Hillman previews the party in Amsterdam, one of the biggest shindigs of them all. Forty years ago the gay community began its long fight for equality after a raid on a bar in the early hours of June 28 1969, in Greenwhich Village, New York, sparked a series of angry demonstrations that led to the formation of the modern gay rights movement. The Stonewall riots, as they became known, set the stage for the long struggle that followed over the subsequent decades, and today, in most of Europe and the US at least, sexual minorities can enjoy the change of emphasis that goes with Gay Pride marches from one of protest to one of celebration. 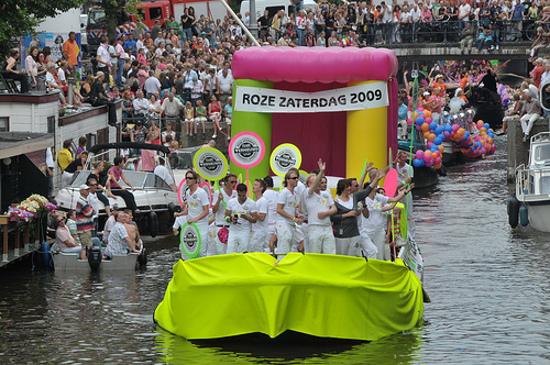 Gay Pride ’09 takes place at different places across Europe, but one of the largest parties kicks off in Amsterdam on July 30 and lasts until August 2. Dancing in the street, flamboyant costumes, and a totally unique floating Canal Parade through the city makes this one of the must see events in Amsterdam’s calendar. The city’s 19,400 hotel rooms will be filling up fast as thousands of party people descend on the city for a series of weeklong street parties, with clubs and bars packed to the rafters, this will not be the best week for a quiet stroll along the Rembrandplein. Amsterdam is just a short drive from Rotterdam, which you can get to with a mini-cruise on P&O Ferries from Hull. There was a once time of excitement and wonder, when man went to the Moon, business people drank champagne whilst breaking the sound barrier over the Atlantic, and a vast behemoth of a hairdryer powered people between Dover and Calais at breakneck speeds. John Hillman remembers the beauty of Hovercraft. In 1968 the first commercial hovercraft began operating services from Dover to Calais, with the promise of that passengers could cross the English Channel at superfast speeds in “airline style comfort”; well it was the bright age of Concorde, long before the dark days of budget air travel I suppose. Hovercraft was an iconic symbol of a new age, when man flew to the moon and we all thought we’d be living on Mars, sustained by food pills and zero gravity by now. Designed and built by Sir Christopher Cockerell, an engineer and designer who worked on radar systems during World War II the Hovercraft was a symbol of British engineering excellence and innovation. The Dover to Calais craft made the crossing from Dover to Calais so fast that pilots had to slow down in order to give the cabin crew time to serve drinks to all the passengers, for 30 years these vessels raced across the Channel at 65 knots, carrying 416 passengers, 60 vehicles at a combined weight of 90 tonnes. Sir Christopher invented the hovercraft after he left his engineering career at Marconi to run a boat-hire service on the Norfolk Broads, after much experimentation his first hovercraft took off across the broads in 1955 weighing 27.6 grams and just 2 ft 6 inches long. He had a futuristic vision of nuclear powered hovercrafts speeding vast numbers of people between Europe and America, but sadly it was never to be. 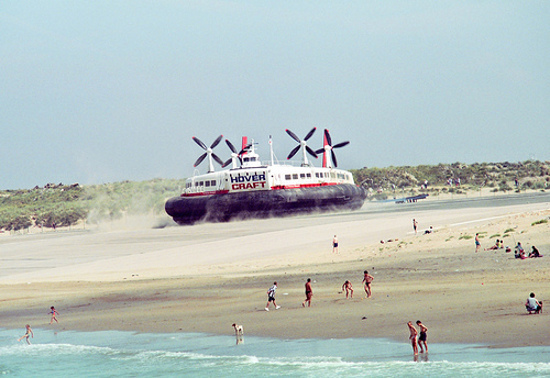 The Hovercraft at Dover was finally wound up in 2000 after the abolition of duty free and soaring fuel costs made the business unviable. It could survive three metre waves, the winter of discontent, stiff competition from P&O Ferries and even the opening of the Channel Tunnel, but it could not survive those meddling bureaucrats in Brussels. Today the old Hoverport at Dover remains closed, testament to a bygone era when people looked to the future with hope and excitement, it was a great P&O rival and one the people of Dover still miss to this day. About a decade ago it seemed that everyone from the middle classes upwards was off on a gap year: building walls in Peru, herding children about Namibia, trekking through the Amazon and drinking wildly on Thai beaches. Like enduring a paper round, stealing a cigarette, getting a mobile or grabbing a first kiss, the gap year became a feature of the late 20th century childhood. It was a brief period of liminality between the order and stability of the family home and the chaos of life as a student. But while gap years had hit the mass market for the first time, they certainly were not a new invention. For hundreds of years rich Englishmen have jollied off on European tours, eager to improve their schoolboy French, experience an opera in Vienna, view the marvels of renaissance Italy and have a flattering portrait painted in Florence. And, of course, people also came in the other direction. 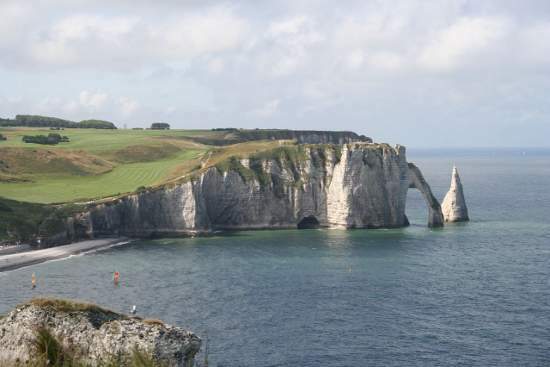 Enthusiastic members of the French, Spanish and Prussian nobility would cross the Channel to Dover, Sandwich or Ramsgate where they would catch their first glimpse of the white cliffs, the green rolling hills and meet a population that gorged on beef and potatoes and drove itself mad with ale, claret or gin. Looking back at the impressions of these foreign visitors reveals much about the national character of the English: their views, their aspirations and their oddities. A particularly good account was left by the Russian author Nikolai Karamzin, who could barely conceal his excitement at landing in Dover in 1789. Here are three extracts from his book, Travels from Moscow, through Prussia, Germany, Switzerland, France, and England.